Throughout the years many band programs have had partnerships and sponsorships from all types of companies and organizations. The companies include most of the instrument and uniform companies from across the country like Yamaha or Conn-Selmer. We've even seen companies like Nissan partner with band programs. 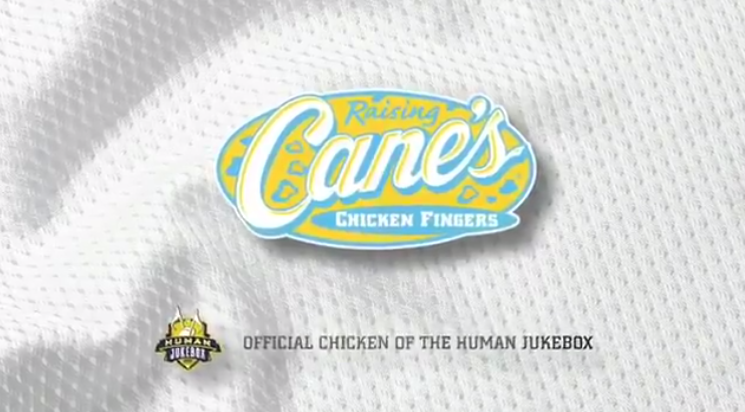 This year the Southern University Human Jukebox has a partnership with Raising Cane's Chicken Fingers. If you've never been to Cane's we highly recommend you go immediately and try it as it is really freaking good. The band was featured in their football season commercial that you can watch below. One thing we noticed was the last tag line of the commercial where it says, "Official chicken of the Human Jukebox". That got us thinking. As budgets continue to be cut across the country for bands and travel costs continue to go up, maybe we need to move more heavily into sponsorship agreements with companies. Could Under Armour slap on a logo to the Maryland or Texas Tech uniform or Nike with Oregon? How about the Penn State Blue Band appearing in a Sheetz commercial or the Texas Longhorn Band fueled by ExxonMobil? The possibilities for regional partnerships could be tremendous. Heck everything else in college football is sponsored! One day maybe the financial worries of band directors will be a thing of the past.